I’m still not quite ready to post my favorite reads of 2014. The year isn’t over, and there’s so much reading to catch up on. If you could all please slow down with your awesome novels and short fiction, it’d really help me out a lot. Thanks. Anyway, while I’m scrambling to not be woefully behind on things that came out this year, I figured I’d take a few moments to talk about what I’m looking forward to next year. Fran Wilde’s debut novel, Updraft. I can’t tell you how excited I am for this thing. A city of bone, a girl with wings, and monsters in the clouds. Having gotten a sneak preview, I can tell you this book is amazing, and I want everyone else to know how amazing it is so we can all squee about it together. Speaking of Ms. Wilde, I’m also very much looking forward to her story How to Walk Through Historic Graveyards in the Digital Age, which will be in the April/May 2015 Asimov’s, and The Ghost Tide Chanty, which will be up at Tor.com sometime during the year as well. 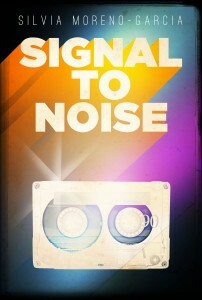 Silvia Moreno-Garcia’s debut novel, Signal to Noise will be out in February 2015. It’s all about music and magic cast using vinyl records. What more do you need to know? Ever since Silvia started teasing details about this, and her second novel about vampires in Mexico City, I have been making grabby hands in their general direction. Books now, please. Jaime Lee Moyer’s Against a Brightening Sky. This is the third book in her Delia series, which started with Delia’s Shadow in 2013, followed by A Barricade in Hell this year. Delia, Gabe, Sadie, Dora (oh, Dora! ), and even Delia’s kitten – it is impossible not to fall in love with these characters. It’s all set against the rich and beautiful backdrop of San Francisco in the early 1900s. I’ve been making serious grabby hands toward this one too. Queers Destroy Science Fiction! In 2014, women destroyed all the genres, and because they did it so well, there will be a follow-up issue/anthology of Lightspeed Magazine, which already does wonderful things. I am very much looking forward to the next iteration of destruction. If you happen to be a queer author, please consider the guidelines for this issue, which can be found here. Speaking of anthologies, I’m pretty much looking forward to every anthology Paula Guran publishes in 2015. It just so happens she has a lot of them lined up. You can find a list of her forthcoming projects here. Yes, some do spill into 2016, but that’s all the more reason to be excited. Paula Guran consistently puts together fantastic collections, and I look forward to reading everything she publishes. Catherynne M. Valente has two novels coming out next year, and I’m thrilled about both of them. The Boy Who Lost Fairyland is the fourth book in a series that grew out of a throw-away reference in another novel she wrote. That’s not to say that this is in any way a throw-away series of course (in case there is anyone left who may be concerned). It is beautiful and adult and family-friendly all at once. The language is rich and deep and the books are well worth reading no matter what your age. 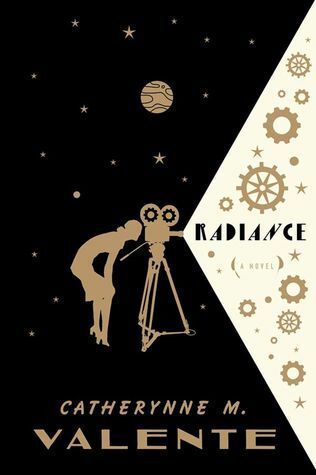 The other Valente book I’m looking forward to is Radiance, which will be out in August 2015. Decopunk space opera set in an alternate Hollywood? Yes, please! And the cover is just gorgeous. I can’t wait to get my hands on this one! Another novel that looks to combine all the wondrous things one could want to combine in a novel is Karen Memory by Elizabeth Bear, due out in February 2015. I’ve pretty much loved everything else Bear has written, and this one involves bordellos, steampunk, tentacles, and many other things of which I am a fan. Much excitement! In a more non-specific form of anticipation, I’m looking forward to new issues of all my favorite online fiction magazines, including but not limited to the ones outlined in my round of up year end posts. I’m also looking forward to new short fiction by many of my favorite authors, who would be too numerous to list here, as well as discovering new-to-me authors who will become my favorites. Finally, bias aside, I’m looking forward to the stories we’ll publish in Unlikely Story next year. First up will be the Journal of Unlikely Cryptography in February. (We recently posted the ToC.) In 2015, we’ll also publish The Journal of Unlikely Coulrophobia (ToC pending) and The Journal of Unlikely Academia, which will open to submissions on January 1, 2015. I promise you, these issues will be full of fantastic stories, and I can’t wait to share them! Having written this post, I now feel like I’m already behind on my reading for 2015, and the year hasn’t even started yet. However, an abundance of wonderful books is not a bad problem to have. Now that I’ve shared a few of my eagerly anticipated reads, what are you looking forward to next year? Sweet! I look forward to reading that as well.